You will agree that sometimes you just have to be at the right place at the right time to get referrals. This holds true in every business line including real estate business. Get your business message displayed on your clients’ filing cabinets and refrigerators to increase your chances of getting referred more frequently. 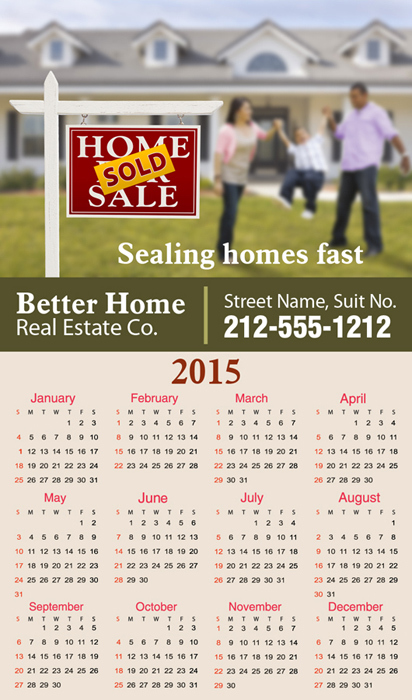 Home calendar magnets are just one of many promotional magnets we offer that will lead you to more referrals. People will love to take home these calendars to keep track of their events, organize schedules and to use it as an annual planner. Every time they see your logo and business message, their urge to own a home of their own before the year ends will get stronger in their minds. Promotional home calendar refrigerator magnets ensure long term brand exposure for real estate agents to attract new customers and to keep their existing clientele happy. Full color promotional magnets are slowly becoming a staple in many US homes because they serve as a refrigerator magnet and reference token. Traditional advertisement media like print and TV have become less popular and more costly over the years and advertisers looking for quick results have turned to personalized and innovative advertising by using promotional giveaways like custom magnets. These will strike an instant rapport with your customers on an individual level and will build up a loyal customer base as they keep your business going. Studies show that people spend more than half their life time savings in buying a home. Trust is indeed the watchword in every real estate deal considering the amount of money that changes hands during every deal! Nobody will ever like to take a risk when it comes to owning a home of their dream. Even today most people rely on the old fashioned word of mouth publicity and friends and family referrals in making realtor investments. These promotional magnets will aid people to refer particular real estate services to their friends, or colleagues, whenever they require such services. Ideal for tradeshows, home expos, realtor events and any mass event where a lot of footfalls are expected, these custom magnets are low in cost yet high in visibility. Realtors can also use these promotional magnets as bulk mailers because every customer will love purposeful promotional gifts. Small time real estate businesses dealing with home repair or other related services will also find these magnets useful as gifts. 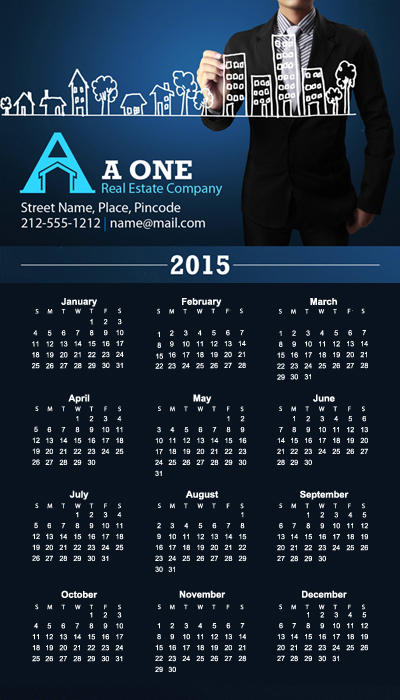 Available in a range of sizes and colors, these calendar magnets will always keep your business well hoisted. Check out some of our popular models like Promotional 2.91×4.94 Magnetic Home Calendars 20 mil or 4.18×5.43 Square Corner Home Calendar Magnets 20 mil to make your brand something to be looked at! Make the most of the marketing potential in home kitchens with this promotional magnetic calendar, which will create a buzz about your business that will culminate in orders. Many businesses, small to large can hand out these portable and affordable giveaways that not many people can resist. We offer free art setup, free online design proof and free shipping on all our promotional magnets, which helps realtors to further their savings without quality compromises.